If you want to buy property abroad, read these 10 common mistakes made by real estate investors to avoid making similar costly mistakes. Real estate investment is perhaps one of the most lucrative forms of investment today. But it is also equally risk bound especially when one is not well versed with the trends and nuances of the real estate market. Knowing the most common mistakes made by real estate investors will help one steer away from making similar mistakes and ensure a good return on investment. Bankrate.com has put together the top 10 mistakes after speaking to established, full-time real estate investors and other professionals involved in real estate investment such as bankers. Lack of a proper plan is the biggest mistake made by novice investors. Finding a house after forming a proper investment strategy is the right way instead of looking for a house to fit the plan. Many make the mistake of buying a house because it seems to be a good deal and then try to see how they can fit it into their plan. Instead of buying a house and thinking one can plan in due course, investors should concentrate on the numbers and try to make offers on multiple properties. This will ensure a good property that not only matches their investment model but also works out well with the numbers they had planned for. The second major mistake that real estate investors make is to think it is very easy to get rich in real estate. This is only a myth. The reality is that investing in real estate is a long-term project. To become a successful real estate investor, one needs to build a team of professionals to assist in deals. This would ideally include a real estate agent, an appraiser, a home inspector, a closing attorney and a lender. Investors in real estate often goof up in their investment by paying too much for the properties they buy. Paying too much and locking up all your funds in the erred property deal will leave you with no money to redeem yourself. Not doing your homework could be a costly mistake for a real estate investor. Learn the fundamentals before venturing into investing in properties. Investors have to exercise a certain degree of caution and take earnest efforts while making a deal. New investors often fail in this regard and sign a deal without doing adequate research on the property. Investors whose strategy is to buy, hold and rent out properties need to ensure sufficient cash flow for maintenance. Managing a property could be expensive and the owner is likely to incur more expenses such as mortgage, taxes, insurance, advertising costs. Investors have to allocate their budget and make sure all these expenses are taken care of, or end up having their asset turn into a liability. A larger volume of deals or transactions helps in increasing the profits by reducing the impacts of marginal deals. Having a number of options at hand for the property you buy is a wise strategy. This helps one to be prepared for fluctuations in the real estate market. Plans to rent out the house could go awry when the rental market slumps. Having alternative plans helps you cut down losses and tackle unexpected situations. People who plan to rehab their house need to make sure they will still reap the benefits at double the time that they had estimated. This ensures they do not miscalculate and lose money on the deal. 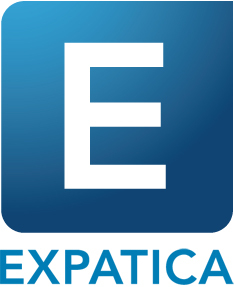 Find a home in the Netherlands using Expatica’s housing search.